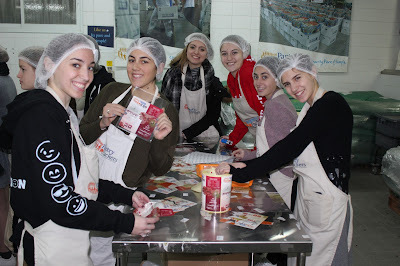 Shabbat on Chesed Mission was very special. 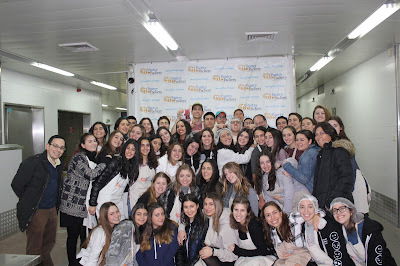 Friday night before Shabbat we all boarded the bus and headed to the Kotel for Minha, Kabbalat Shabbat, and Arbit. Praying by the kotel, as always, was a beautiful experience. 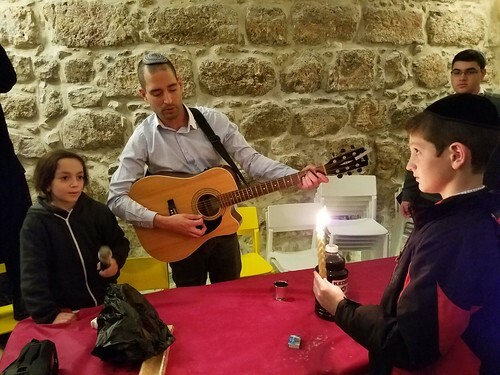 Surrounded by hundreds of people on each side of the mehetiza--who are clutching the wall deep in thought and prayer, smiling up in awe and disbelief, kissing the wall as they place a heavily folded note into its crevices, or dancing and welcoming the Shabbat in song--really makes you feel the אחדות of עם ישראל. After concluding our prayer we made our way through a park and water fall display to the Inbal for dinner. At the hotel we all found our seats on various round tables in a lavishly decorated dinning hall. While at first some of us were frazzled at the multiple sets of utensils our nerves were calmed when we filled our plates with delicious food. After eating Rabbi Besser, Raymond Braha, and David Maimon a lone soldier spoke to us about אחדות and the deep level of connectivity felt in Israel amongst all of the Jewish people. After finishing desert and benching we all crowded around singing zemirot. We really felt a strong sense of Zionism and love for Israel and everyone around us. 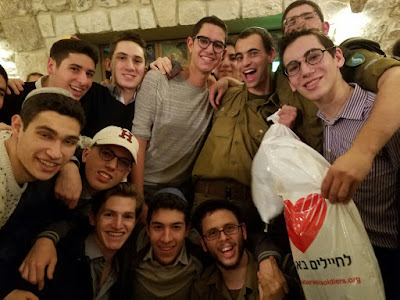 After that some of us made our way the lounge or lobby to hang out and talk about seminaries and spending a year in Israel before being ushered to bed by Mr. Galpert. The next morning after שחרית, breakfast, מנחה גדולה, and lunch Rabbi Besser gave a dvar Torah on the reason we place such a strong emphasis on קטורת and Susan Franco spoke about Rabbi Besser and his deep level of commitment to everyone around him. Then in the afternoon we walked through the old city to תודה לצהל an organization dedicated to connecting soldiers to the people rooting for them all over the world. 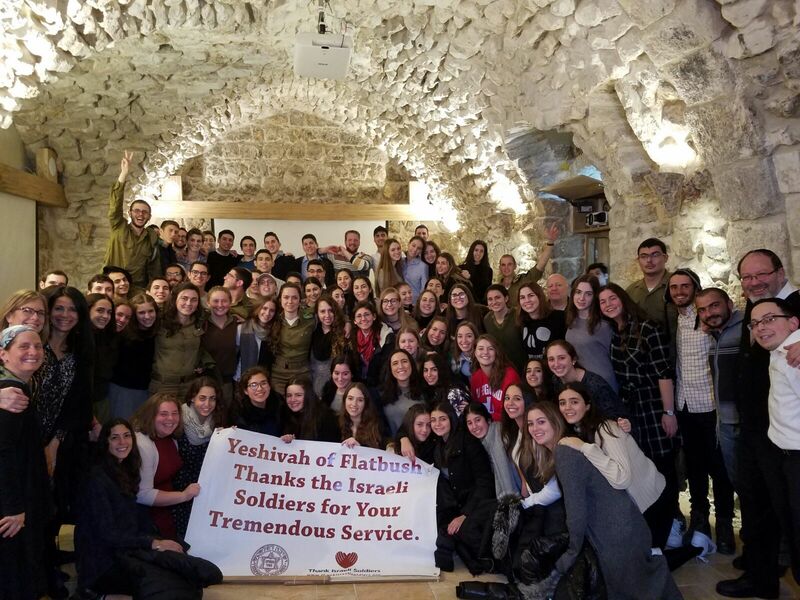 The building was newly renovated and Rivka, the woman in charge of this program gave us a brief introduction and even shared that when they were digging below ground level they hit second temple artifacts which they left intact. We sat around eating סעודה שלישית and talking to soldiers, getting to personally know them and thank them for their service. We then all put our arms around each other singing and smiling truly feeling connected. The sense of togetherness and the spirit in the air was indescribable. Our אמונה was so strong as we clapped vigorously and chanted along. 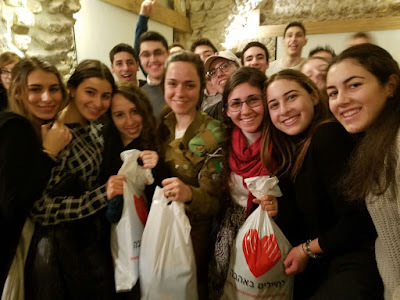 Then after Arbit we partook in a phenomenal havdalah experience (even though it wasn't led by Mr. Galpert), danced, took pictures, and handed out gifts before parting ways. The experience was like none other and we left feeling so much אמונה and love for the state of Israel and those defending it.